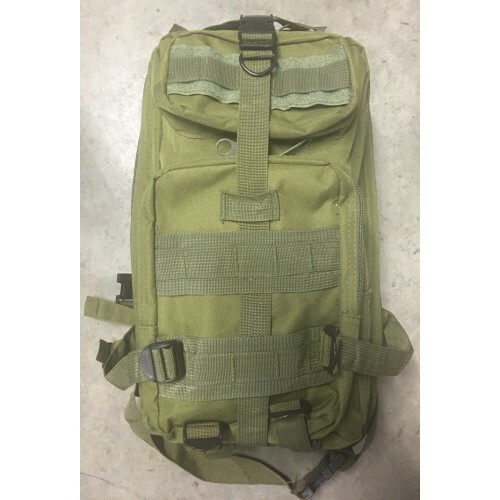 OD Green Tactical Backpack with five outside pockets and one inside pocket. Great backpack for a bugout bag and everyday use with loads of storage. Would make a great range bag for ammo, gloves, ear and eye protection and any other accesories needed for a day at the range.